Although technology keeps us connected in so many ways, it also makes it easy to lose sight of how we are really connected to everything else in the world. We aim to give our students a ground-up learning experience when it comes to ecosystems. From the smallest invertebrates to the top predators in an ecosystem, it’s a story of how all living things are related to, and depend on, each other. We grab our dip nets and start with the small stuff, like invertebrates (did you know that 90 percent of all life on earth is invertebrates? ), and work our way up to top predators. As always it’s a combination of in-class learning and field experience. One of the most important lessons is how humans impact our ecosystems. On Bulls Island students see first hand the impacts of climate change and rising seas. We want our students to come away from their field experiences with not only a better understanding of how important the ecosystems they explored are to wildlife, but also how important these ecosystems are to people. 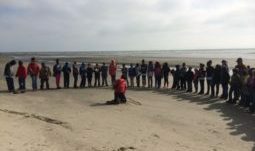 For the third year our partnership with Coastal Expeditions allowed us to offer a field studies trip to Bulls Island as part of our Earth Stewards program. 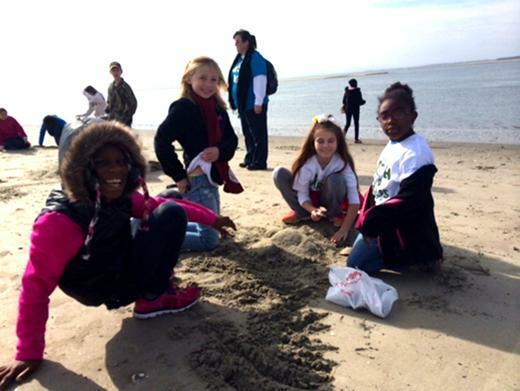 Students from Kensington Elementary in Georgetown modeled their own barrier islands in the sand, including the maritime forest! 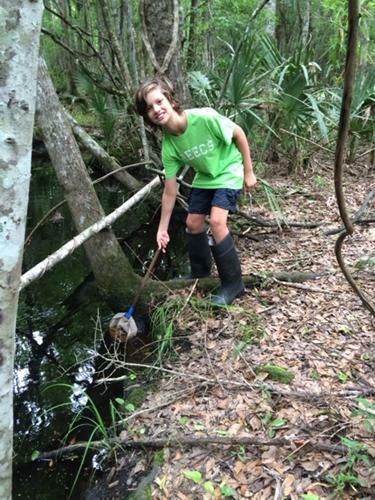 Cape Romain Environmental Education Charter School (CREECS) fifth graders collected macro-invertebrates from freshwater wetlands on the Francis Marion National Forest. 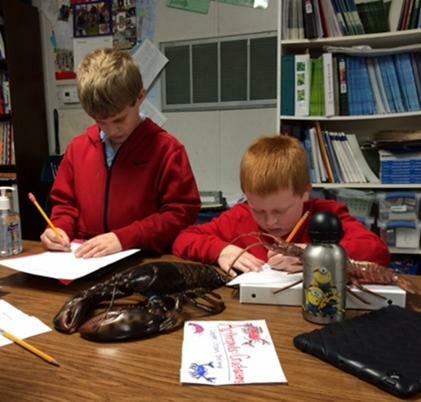 Pinckney Elementary students explored the world of marine invertebrates in their classroom lesson and learned about the importance of seven groups of invertebrates in the food web.